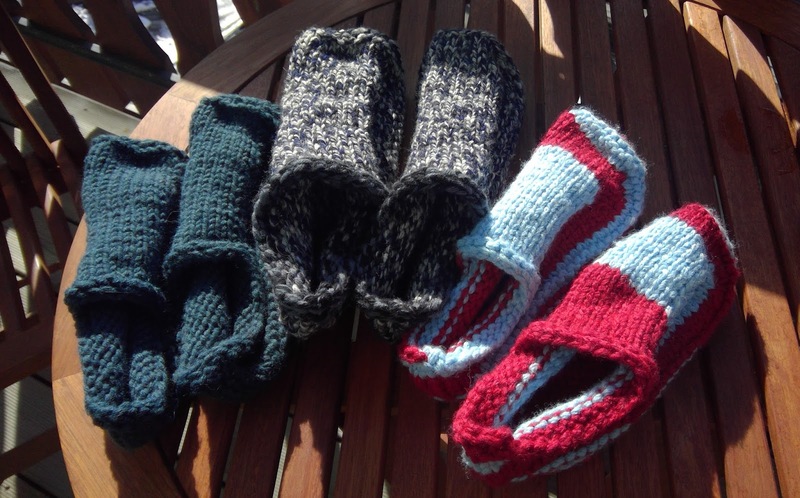 My latest knitting project are slippers for guests to wear when they visit us at our alpine place. I used a free pattern I found on ravelry.com: non-felted-slippers by Yuko Nakamura Designs. (you may need to have a ravelry account to view it). 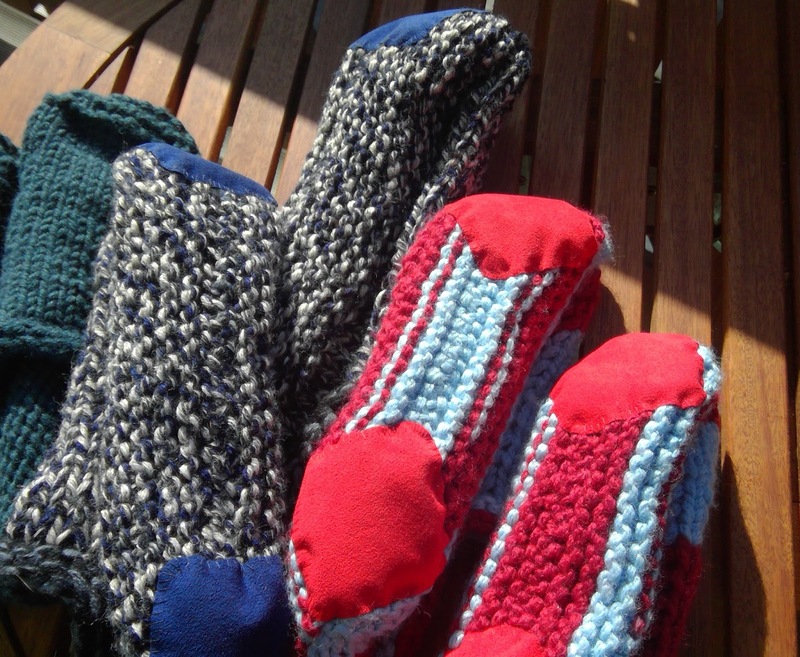 The slippers are knit flat and then seamed from the back of the heal and down the center of the sole. Really simple! 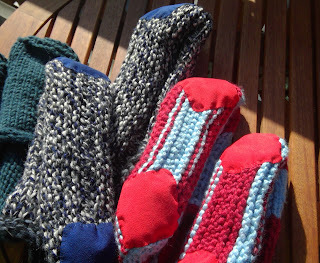 The gauge the pattern calls for is 13 stitches per 10 cm (or 4 inches), which is a bulky type yarn on size 10-11 needles. The pattern is written for one size - ladies' medium, about a European size 38-39 which is about a US size 7-8, but you can fiddle with the numbers to make them larger or smaller. The slippers are really comfortable but I worried about people slipping on the wood stairs in them, so I sewed on little patches of ultra-suede at the toe and heel. It's funny that I had this ultra suede for a long time and finally found a use for it. The ultra suede came from Nancy's Notions as a pack of 5 inch square samples of the colors they sold. I probably bought them with the thought I could use them as bits of trim or as a bound button hole or two. I never did. But one square cut into four pieces was the perfect size for these slippers and the colors matched ok as well. I do like it when stuff that I saved finally is used but it's a bad habit to save things "just in case"! How fun for guests! I know exactly which ultra suede squares you are talking about. It seemed like a great idea at the time but.mine have never been used either.